Milk has many health benefits, especially for the bones. Read further to learn more. • Milk is a rich source of calcium. Not only do growing kids require calcium for their growing bones, adults also require their daily dose of calcium for maintaining the strength of bones too. 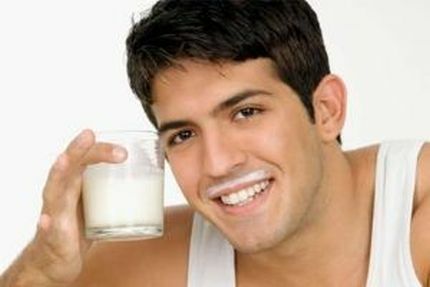 • Milk is also essential for good and healthy teeth. It prevents the formation of cavities and prevents decaying of teeth. 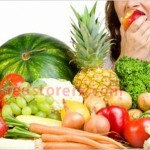 • The body gets calcium only if it is absorbed into the bloodstream. 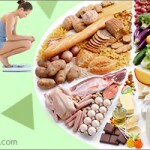 Vitamin D helps better absorption of calcium in the body. It is always advised to buy milk, which is fortified with Vitamin D in order to ensure better absorption of calcium from milk. Milk contains proteins that help in the wear and tear of the body. This is helpful especially after you exercise. Drinking a glass of milk after strenuous exercises helps the body recover post workout. It also helps replenish the lost fluids from the body. Milk has several nutrients and key ingredients that help keep the skin soft, supple and glowing. It has lactic acid, which acts as defoliant. The enzymes present in milk keep the skin smooth. Natural amino acids present in milk keep the skin moisturised. In addition, milk boasts active antioxidants that keep the skin away from the natural and environmental damage. Thus drinking two glasses of milk everyday instead of taking expensive milk baths will also work in achieving soft and supple glowing skin! Liver produces high-density cholesterol and low-density cholesterol. It is the low-density cholesterol, which is known as bad cholesterol and leads to plaques and clots in the blood vessels. Milk has several properties that reduce the production of low-density cholesterol by liver thus reducing the chances of cardiac diseases and stabilizes the blood pressure. This property of milk also helps milk act as an able antacid. Milk has unique soothing properties that help soothe frayed nerves and relax tense muscles. One glass of warm milk after an entire day’s work can help calm you down and also induces good sleep. A glass of warm milk also eases the discomfort and pain during PMS. 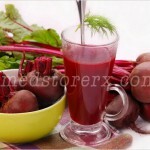 It boosts energy and hence, used by sportsperson before and after their training sessions. Milk has Vitamin A and B that helps in improving eyesight. Low-fat or skim milk helps in reducing weight. Milk also has some unique properties that help in reducing the risk of many cancers. A glass of milk or with a fruit is good appetisers and make for a great snack combination. Milk is ageless and can be consumed by everyone!